FR. ANTHONY PATEMAN M.A., STL., PhL. Anthony Pateman was born in 1940 in Leicester and from 1944 to 1951 attended Hinckley Road Primary School (now known as Dovelands). 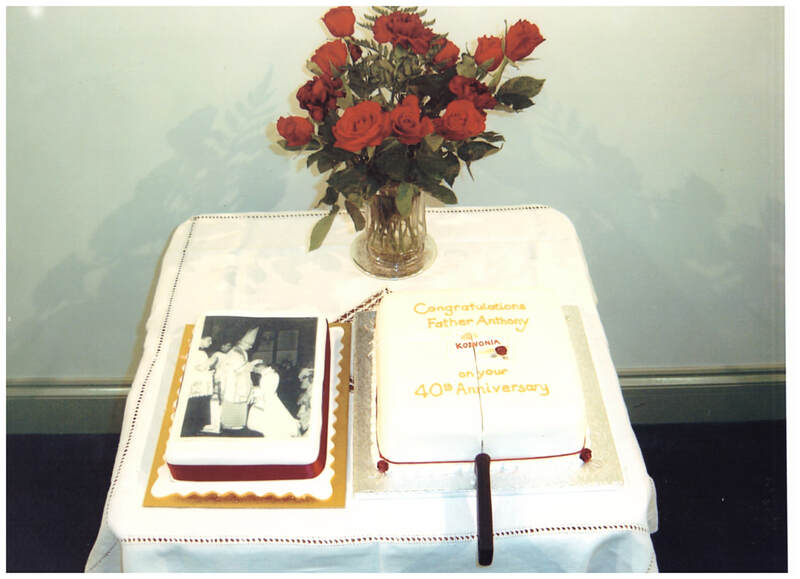 After leaving primary school he attended St. Hugh’s Diocesan College at Tollerton from 1951 to 1958. In 1958 he went to the English College and Gregorian University in Rome and was a stenographer at the Second Vatican Council. He was ordained in 1964 and in the following year became assistant priest at the Good Shepherd, Woodthorpe. In 1966 he went up to Downing College, Cambridge, to read for a degree in English Literature and then to the Institute of Education in London. In 1970 he returned to St. Hugh’s as a member of staff and held the post of Head teacher from 1971 to 1978. In 1979 he became assistant priest at Stamford before taking up his first parish at Melbourne and Castle Donington in the same year. 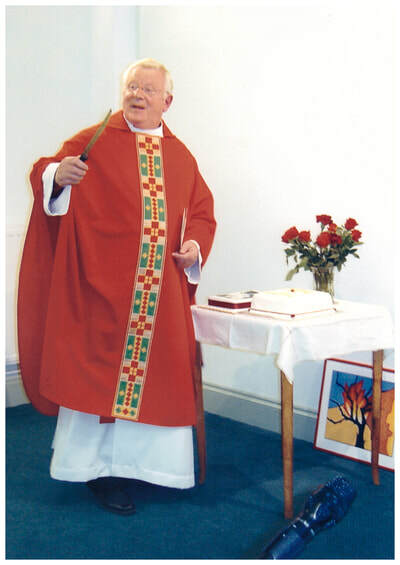 From 1987 until 1992 he served in Aspley (Nottingham) before becoming parish priest of St. Gregory’s, Sileby where he successfully introduced “Small Communities”. He was instrumental in building the new Social Centre at St. Gregory’s, of which we are all proud; it is a facility that serves the whole community. In 2002, St. Gregory’s teamed up with the Divine Infant of Prague in Syston and he moved to live there. The conjunction of the two parishes is a natural one and he appears to be the first priest to work it, especially as it leaves him in the Loughborough Deanery, in which he has spent most of the last 36 years, and in Leicestershire, his native county. Shortly after moving he was able to attend the first national assembly of Small Christian Communities in the Philippines. 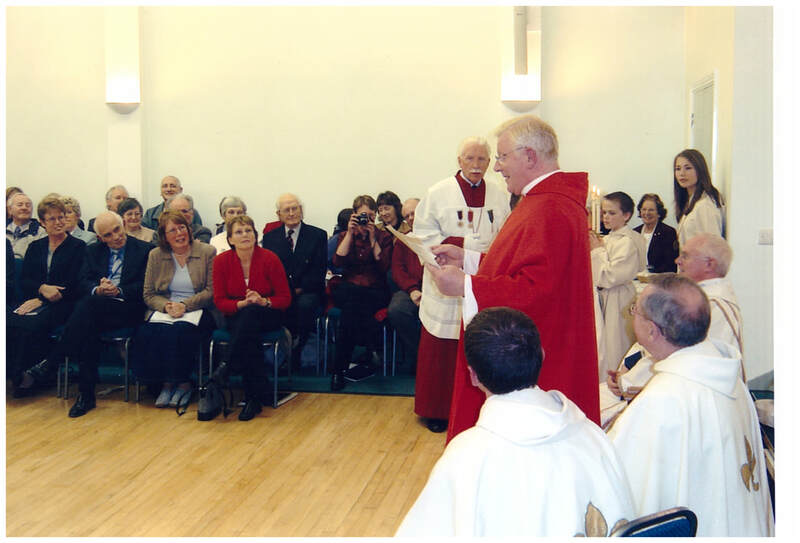 He has also been involved in establishing Pastoral Councils within the diocese. He is a regular visitor to the Walkers Stadium where he promises to “keep the faith”, being a Leicester City fan. Father Anthony celebrated Mass at the Bishop Beveridge Hall in Barrow for the last time as our Parish Priest on Wednesday 9th September 2015. 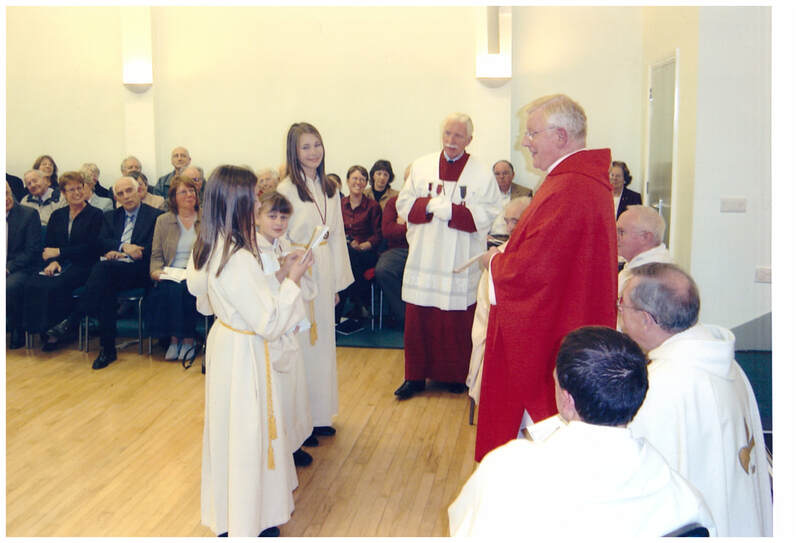 Father Anthony celebrated Sunday Mass for the last time in our parish on 13th September 2015. We thank him for his long, devoted and inspirational ministry among us and wish God’s blessing upon him for the future. Father Anthony celebrated his 75th birthday on April 26th. There are some photos taken after Mass on that day. Click here for photos from the celebration at Ratcliffe College on 23rd May.